At Norwich Glass Company, we’re thrilled to announce that we’ll be launching our sister company, Goldsmith & Cooper at the end of January! Goldsmith & Cooper will be providing tailored and bespoke glass installations to the East Anglia market. Over the last few months, we’ve been working closely with Nu Image – a creative agency in Norwich – to develop a luxury brand. 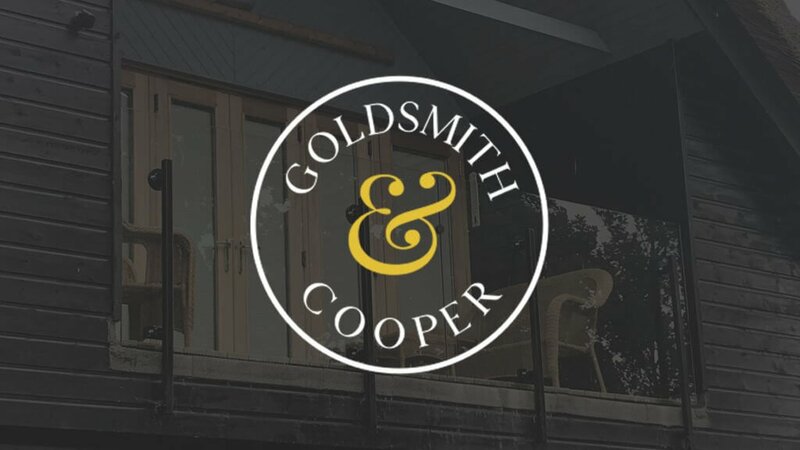 Every detail of the custom brand has been carefully planned by both parties involved, keeping in mind the desired target market for Goldsmith & Cooper’s services every step of the way. From creating a distinguished brand name that customers will trust, to developing an opulent web design that can double as an established portfolio, to deciding on the finishing touches that will bring the entire brand image together, the collaboration has been exciting to say the least! We’ve worked hard throughout this whole journey to create a brand that we’re wholly proud of and completely believe in. Our aim, at both Norwich Glass Company and Goldsmith & Cooper, is to consistently surpass customers expectations and provide a smooth and enjoyable experience, which is why it’s important for this to be reflected in our brand image and ethos. If you’re intrigued to see our sister company in action, keep your eyes peeled for our launch date at the end of this month!